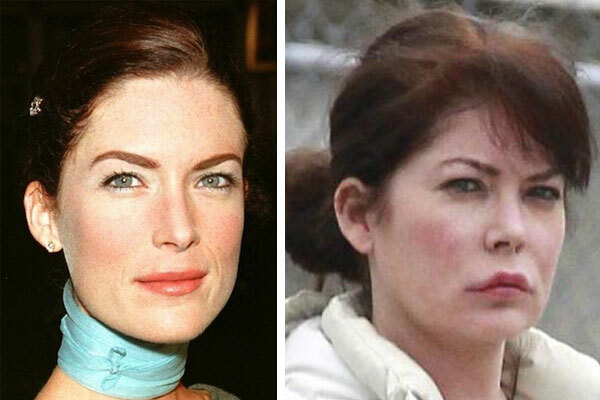 Lara Flynn Boyle has been the subject of ridicule for many years due to her excessive abuse of facial fillers and lip injections (above pic). But it appears the once beautiful brunette has finally laid off the procedures, to scary results! After so many years sporting the “pillow face” look, it appears that Lara’s face has been stretched out and she now has the resulting saggy skin to contend with. 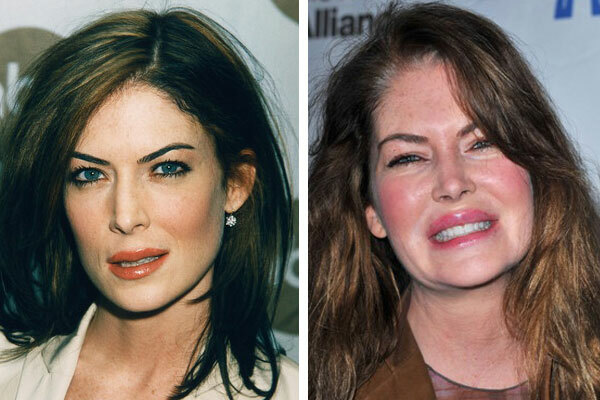 Let these before and after pictures be a warning to all young starlets these days to use caution when messing with your face, lest you end up with droopy dog cheeks!